The news agency rejects espionage charges. Ukrainian National Information Agency Ukrinform on 3 October issued a statement regarding the detention of its correspondent Roman Sushchenko in Moscow. Sushchenko, who works at the agency since 2002 as a correspondent in France since 2010 was held by 30 September. "Roman was on vacation and arrived in Moscow on private visit. He was detained in Moscow on the day of arrival. In violation of all international rules the Russian side did not inform anyone of his arrest: neither his wife, nor diplomatic missions or nor his employer. Roman's wife Angela, who stays in France, learned of his arrest only on Sunday morning, October 2 from the relatives of her husband after he was not available for contacts for two days. His relatives talked very carefully, in hints, avoiding even the word 'detained'," reads the statement. Angela Sushchenko called the hotline of the Ukrainian Embassy in Russia, and then sent the embassy an official statement about her husband's disappearance. However, neither Ukrinform nor Sushchenko's wife do not have any official information from the Russian side about his whereabouts, his phone is switched to an answering machine mode. The agency and the wife of the journalist hired the famous Russian lawyer Mark Feigin, who will defend Roman Sushchenko, and will require on Monday morning a meeting with his client. According to Russian media, Roman is jailed in Moscov' Lefortovo prison. Ukrinform said Roman Sushchenko is a journalist with years of impeccable professional reputation, accredited in one of the EU's most powerful countries, which in addition is a party to the so-called Norman format. The agency described Roman's arrest as "another brazen and wrongful act on the part of the Russian Federation in respect of Ukrainian citizens." The agency says it believes the detention of Sushchenko was a planned provocation, and calls on the journalistic community to stand up for their colleague. International human rights organizations, the diplomatic agencies of Ukraine and foreign countries should help the release of Roman, Ukrinform sais. 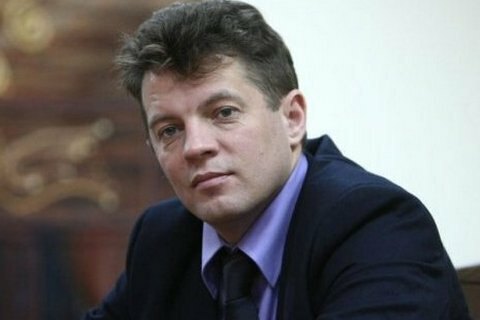 Members of the Moscow Public Oversight Commission found journalist Roman Sushchenko in Lefortovo. Lefortovo court of Moscow arrested him on charges of espionage. Ukraine's Foreign Ministry is trying to get consular access to Sushchenko.